Coleridge claimed that the English get their history from Shakespeare and their theology from Milton. John Milton’s father, also called John, was a trustee of the Blackfriars Theatre which Shakespeare’s troupe, The King’s Men had adopted as their winter quarters, staging daily performances when plague closures allowed. 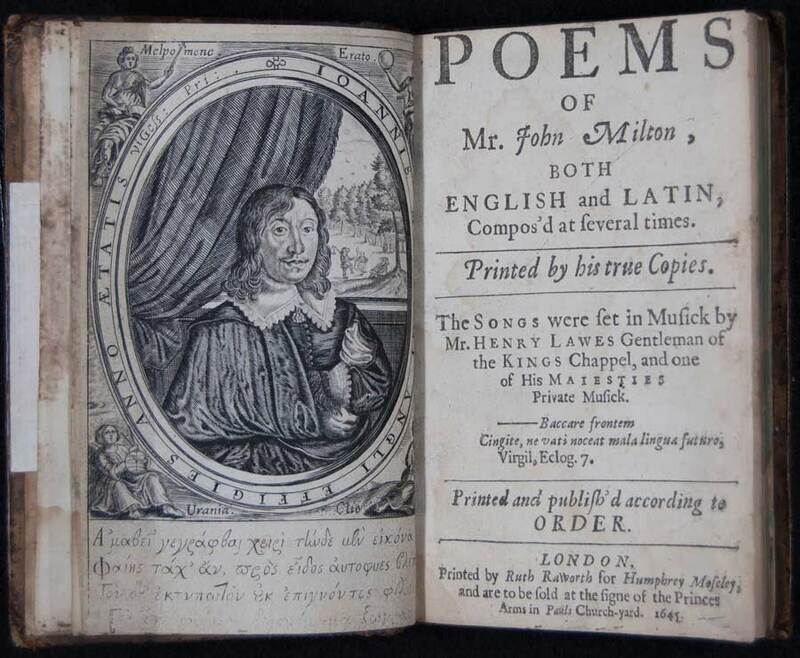 We know from his poem Elegia Prima that in 1626, sent down from Cambridge, John Milton Jr spent the time in London watching plays. These were likely to have been by Shakespeare or Ben Jonson or any of the Jacobean crew and there is inevitably much argument about what he saw and on which five characters he based the sketches in the poem. However there is no doubt about the identity of the man for whom he wrote a eulogy, almost the first of his published poems. Milton unquestionably knew who Shakespeare was through his father's connection with music, which was his profession and the theatre, in which he invested. Shakespeare's theatre at Blackfriars, in fact. The poem may refer to a debate about a better monument for the poet in the early 1630’s. Like Digges’ second eulogy, it is sufficiently explicit for anyone without a determined agenda. If there were two flesh and blood Shakespeares and a massive conspiracy to conceal a third in the guise of the Earl of Oxford, I doubt the young Cambridge superstar would have missed it entirely and Milton’s rigorous religious fervour would almost certainly have prevented him from taking an active part in a conspiracy to deprive a dead genius of credit for his work. So, the man who has a fighting claim to the title of England's greatest poet (not an incidental commentator like Meres or Puttenham) wrote this tribute to England's greatest dramatist. See if you can find it on any Oxfordian websites. Oxfordians love to mock the competence of the Droeshout engraving in their quest to define it as a cryptic clue to Will's identity rather than what it is, a reasonably good publisher's engraving of an author. Milton fared much worse with his publisher, as far as artistic competence goes, anyway.